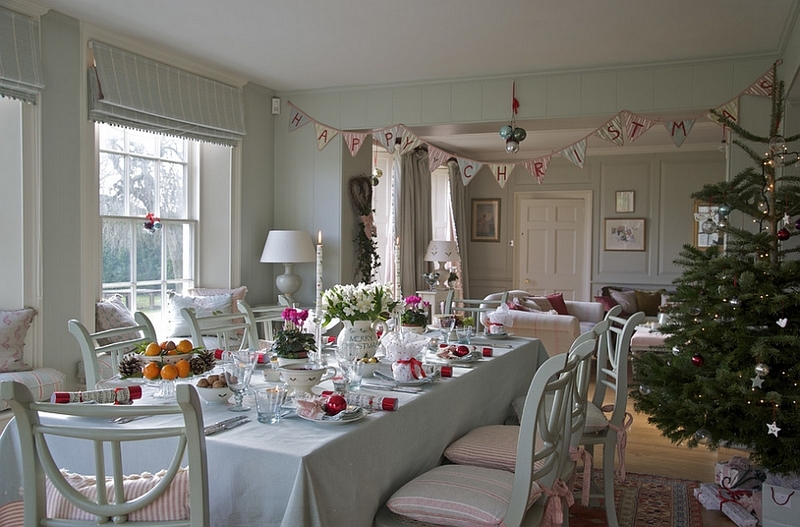 With Christmas barely a few days away, it is high time you gave your home a festive makeover if you haven’t done so already. 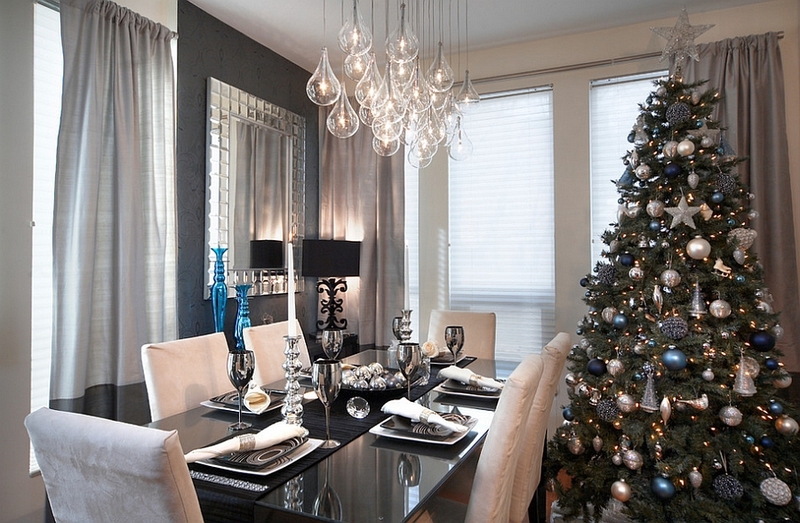 While many of us frantically turn to some cool last-minute decorating ideas to get the job done, getting your home ready for the big day even at this late stage is not too hard or time consuming. 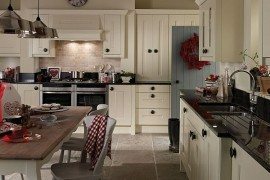 The key is to first focus on the areas of the house that make the biggest visual impact and play an important role in hosting friends and family. 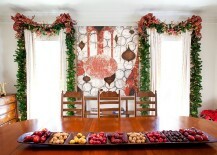 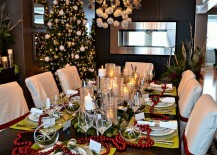 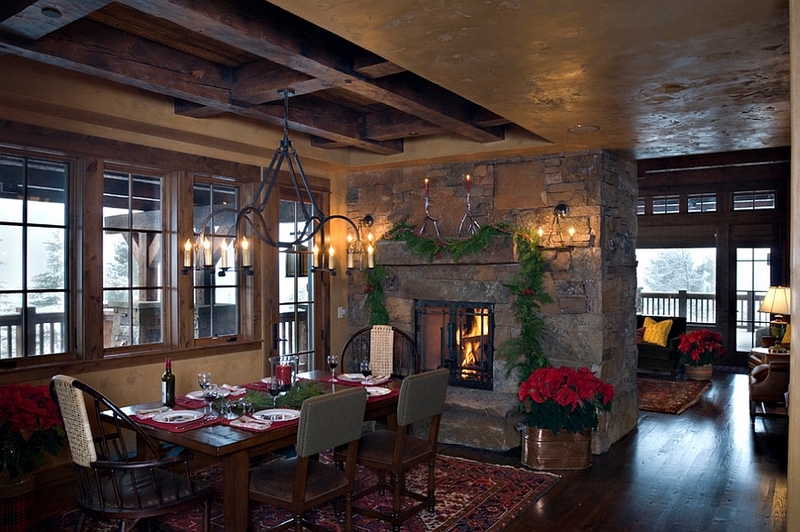 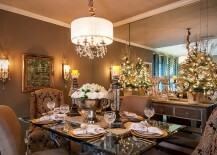 The dining room is one such key space that is often at the heart of all your holiday plans and festivities. 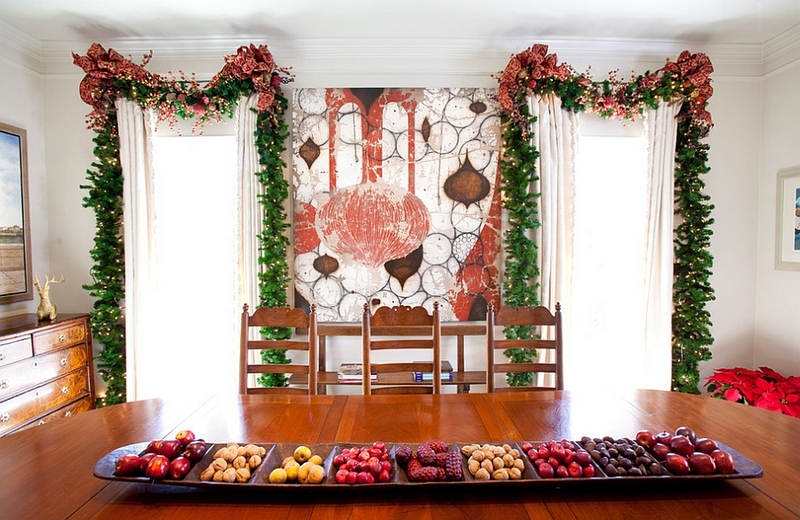 A festive dining room filled with the season’s joy need not be draped in bright baubles in red and green, expansive garlands and traditional holiday decorations alone. 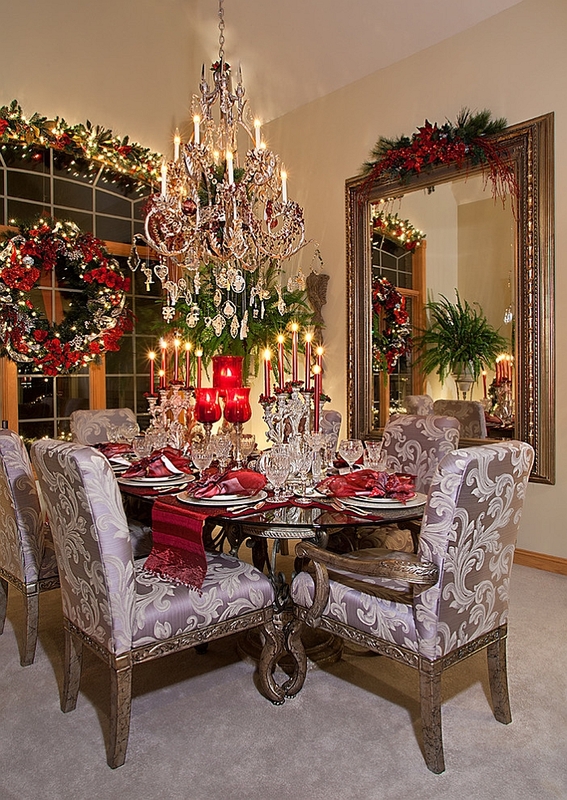 There are plenty of other ways in which you can embrace the festivities while keeping the theme and color scheme of your home intact. 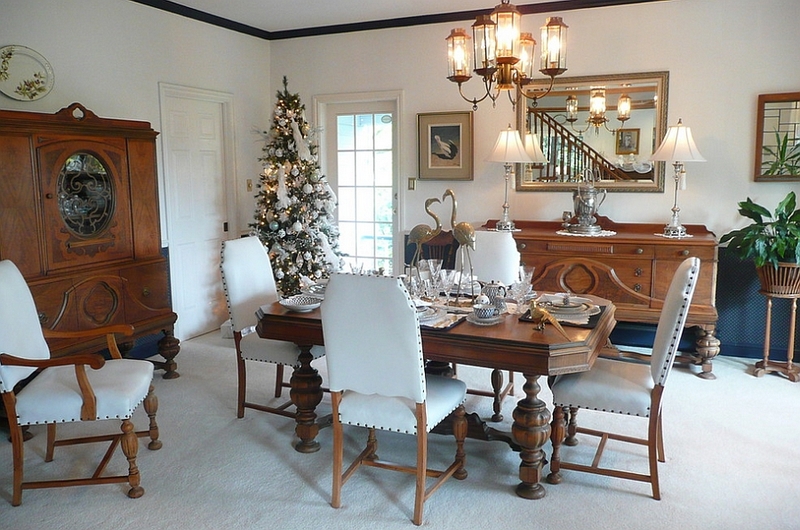 The trend of turning towards alternative Christmas trees is something that is gaining popularity, and the elegant Scandinavian-style dining room below epitomizes this style statement. For those with an open floor plan, modern Christmas ornaments along with a more elaborately decorated living room in the backdrop can do the trick. 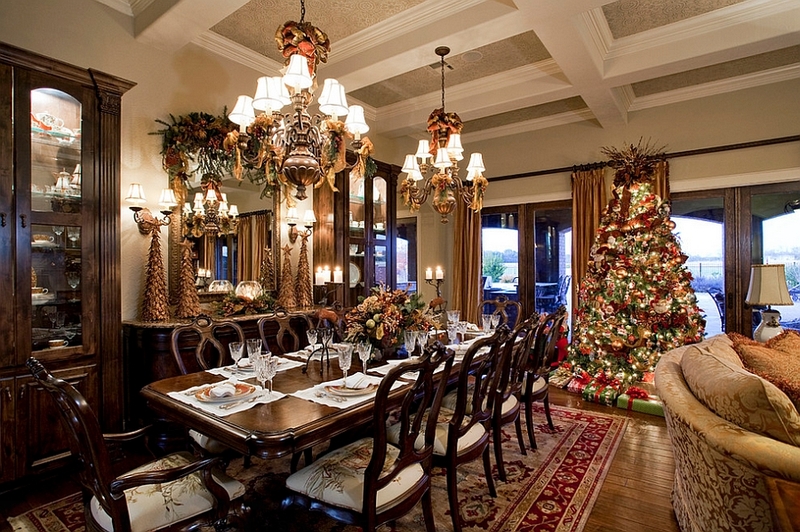 Think of brilliant cascading chandeliers for the dining space, which mimic the glitter and allure of shiny baubles or hand-blown ornaments. 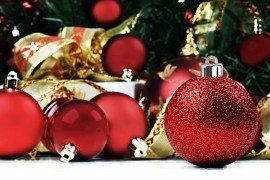 Such additions will serve you well beyond the holiday season and will come in handy once Christmas starts to roll in again next year! 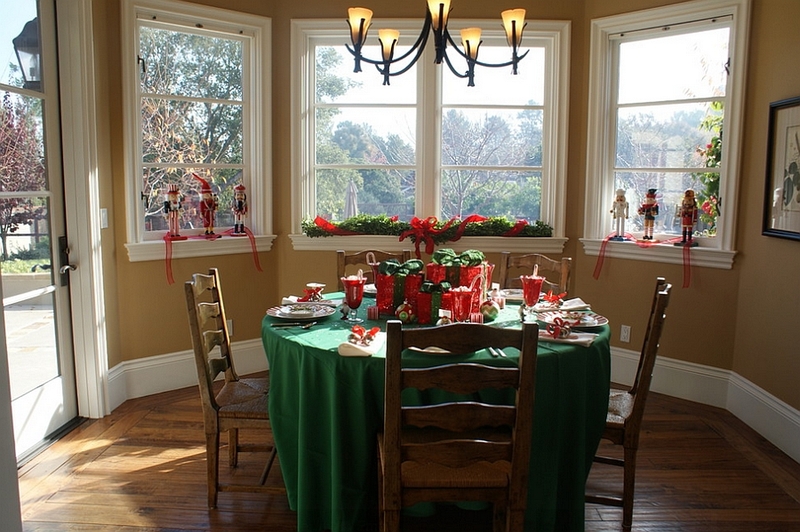 Use mistletoe, a few random Christmas decorations carefully placed on a dinner plate or even some candles to easily give the dining space a festive makeover. 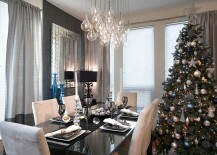 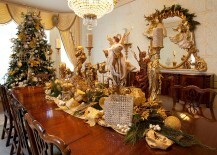 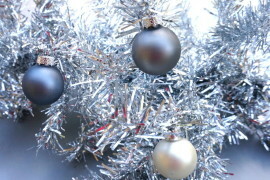 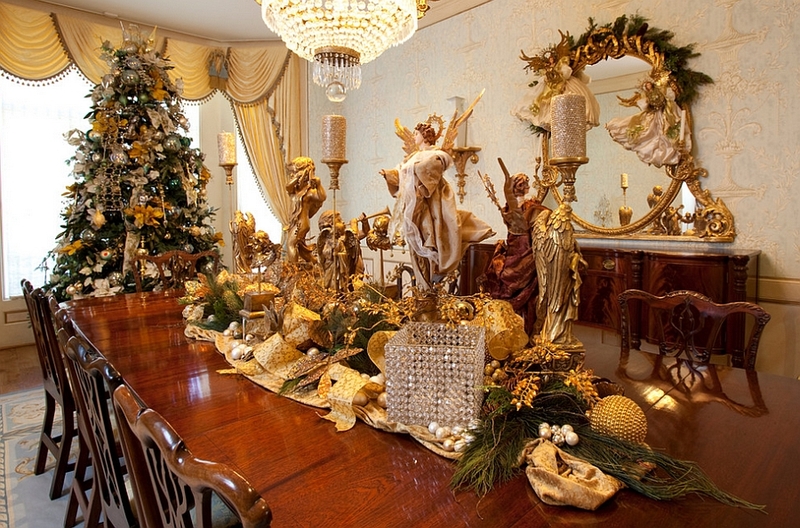 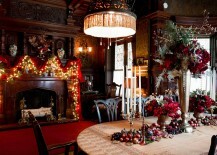 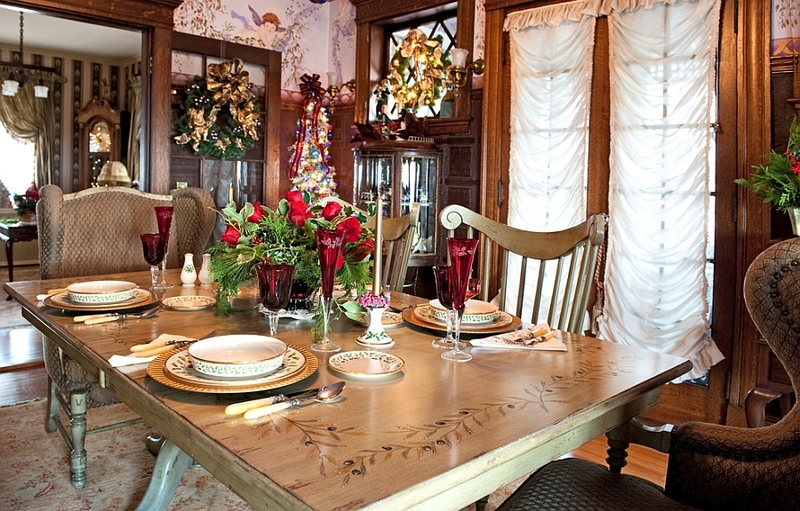 Have you thought about adding a Christmas tree to the dining room? 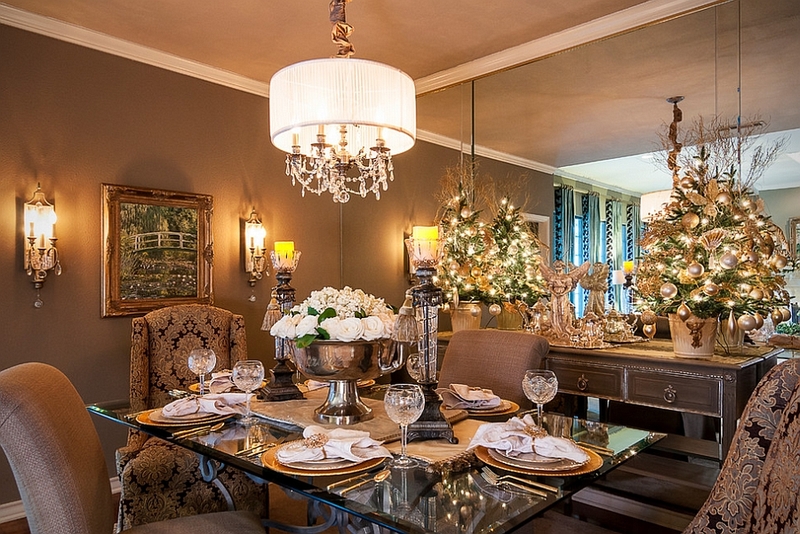 If you have an exclusive dining room with ample space, it most likely is going to be the spot where your family gathers for a sumptuous dinner during the holiday season. 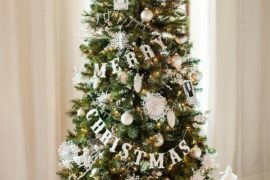 Why not enhance the festive cheer of the space with a gorgeously decorated Christmas tree that becomes the focal point of the room? 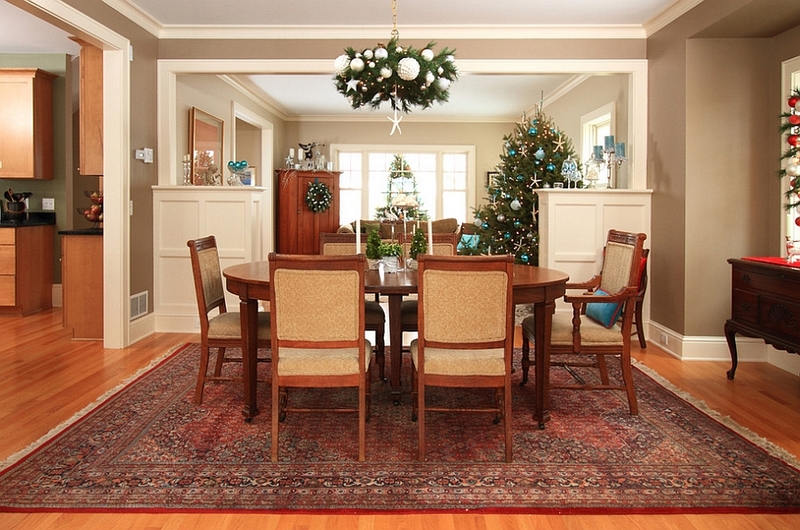 Most dining rooms will have an empty corner or two to spare at the best of times. 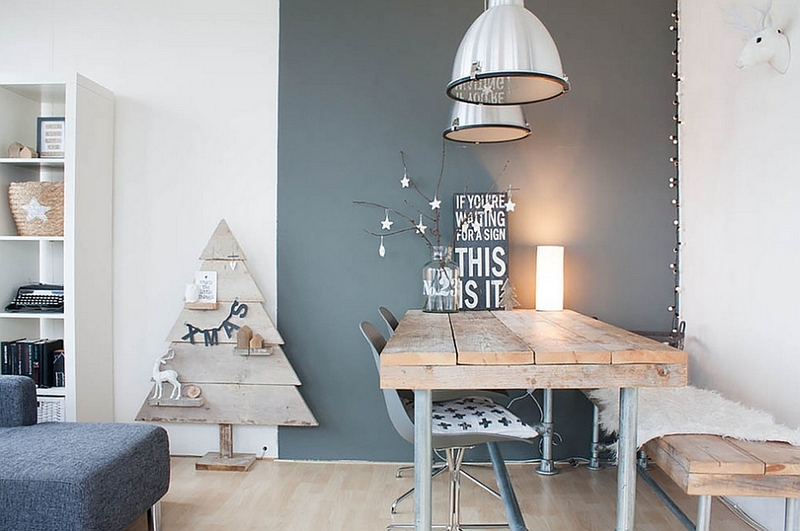 Even if you lack such space, simply move around the cupboard or extra chair in the corner to make way for the festive Christmas tree. 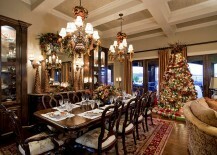 Even those with really small dining spaces can tap into the brilliance of a Christmas tree without too much trouble. 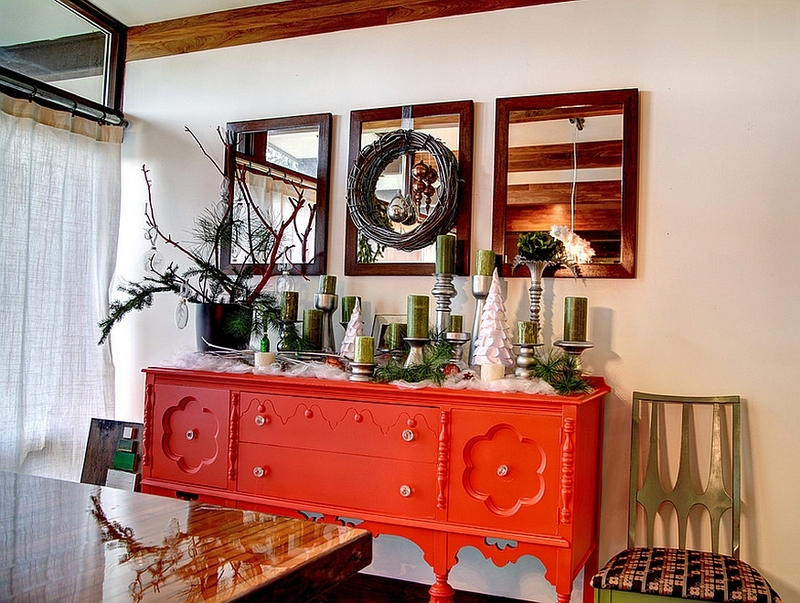 Simply place a smaller Christmas tree on the credenza and deck it delightfully so as to create a dazzling focal point in the room. 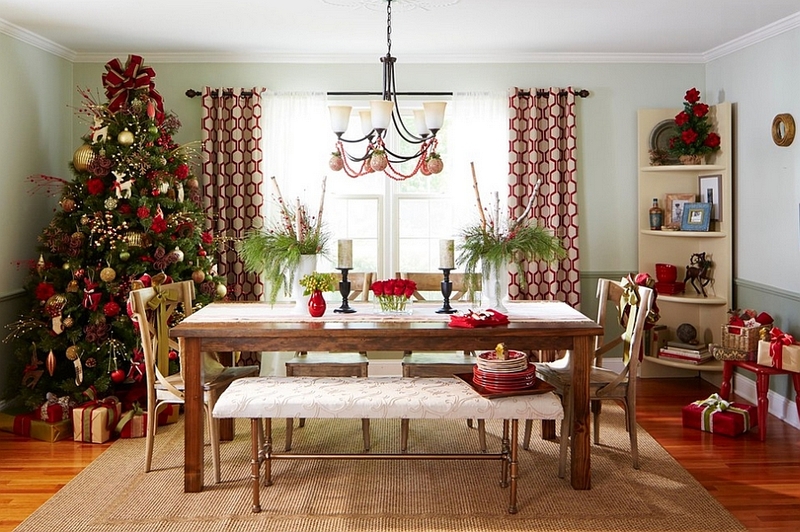 No matter the style of your dining room or the color palette, the Christmas tree will effortlessly enhance the ‘holiday vibe’! 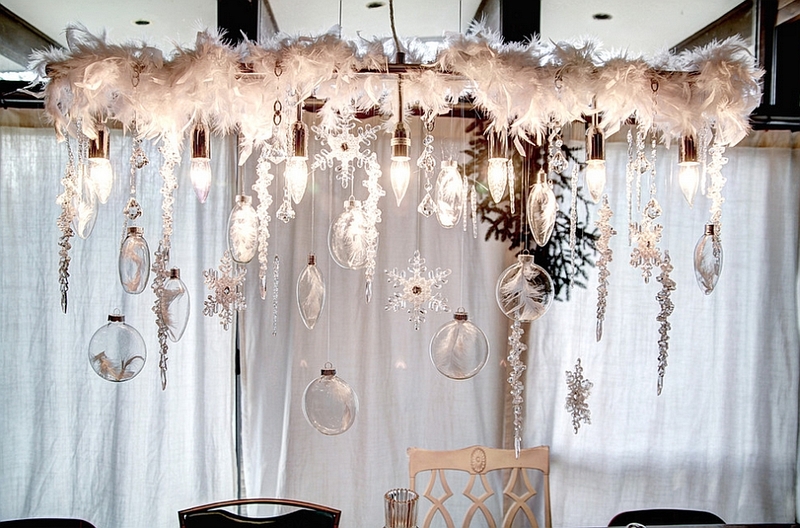 No matter how elegantly you decorate the dining room for the holiday season, it all comes down to nothing if you do not get the lighting right. 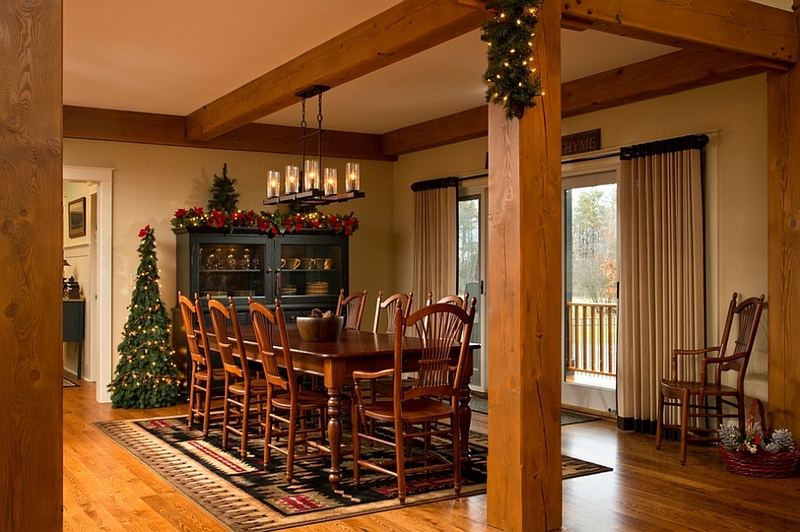 This Christmas, incorporate a few scented candles and string lights into your dining room decoration even while using them to complement the existing pendants or chandelier. 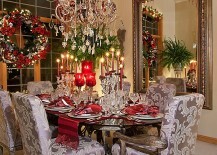 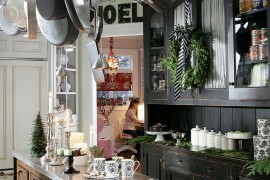 Candles help create a dreamy, festive atmosphere, and if you are having a white Christmas, they seem even more magical! 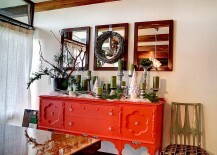 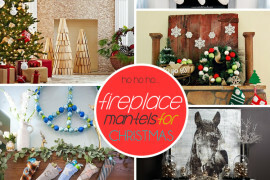 Adorn the fireplace mantel in the dining room (If you are blessed to have one!) 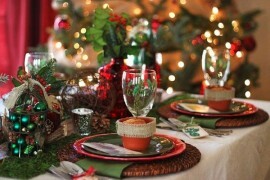 to match the style and the color scheme of the table setting to further enhance this look. 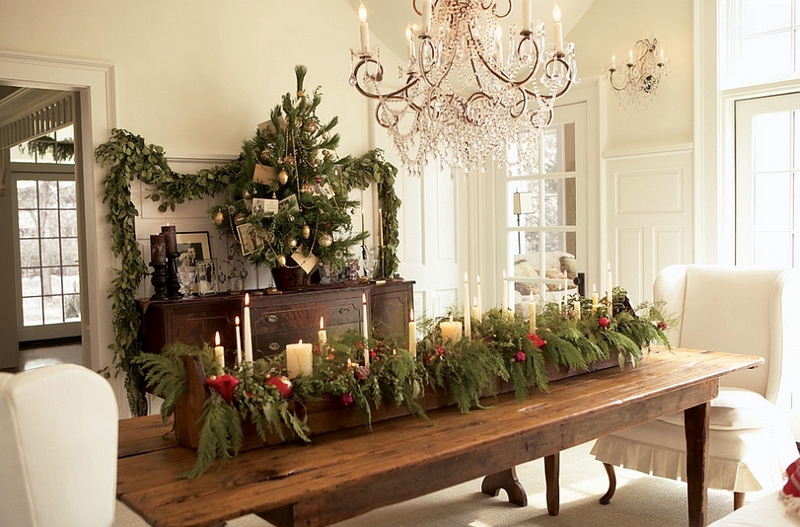 From the front porch to the kitchen and from the dining space to the bedroom, spread some Christmas cheer to every room of the house this year. 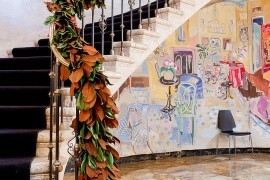 And you can rest assured that these superbly decorated rooms will offer the perfect backdrop for fun and memorable holidays!